Home / an honest mistake / jameson irish whiskey / malaymail / music / news / “AHM x Jameson Irish Whiskey: Girl Power” is happening this Sunday! “AHM x Jameson Irish Whiskey: Girl Power” is happening this Sunday! 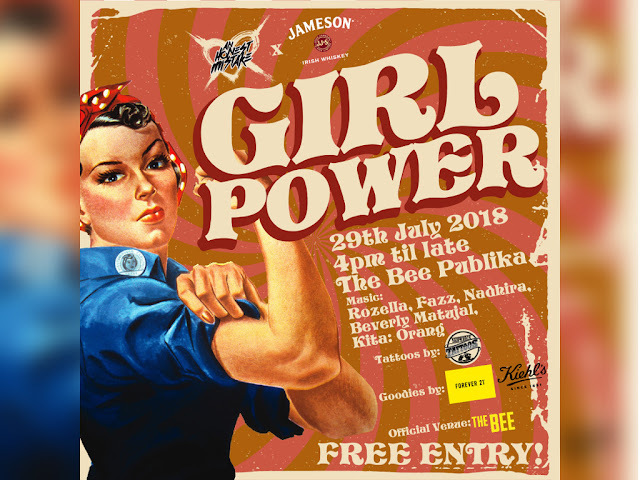 An Honest Mistake Records and Jameson Irish Whiskey are celebrating Women Empowerment Year with a special collaboration, “AHM x Jameson Irish Whiskey: Girl Power”. R&B artiste, Nadhira, indie electronic singer, Rozella, swing jazz band, Fazz, acoustic duo, Kita: Orang and pop singer songwriter, Beverly Matujal are some of those who will be performing on the main stage during the event. There will also be an open mic session, where aspiring musicians and singers will get the chance to show off their talents. Other fun activities lined up for the day are a pop-up tattoo parlor by Shipwreck Tattoos, an interactive photo booth, and a variety of crowd pleaser party games like Giant Jenga, Twister, and Whiskey Pong. That’s not all, attendees will also receive a goodie bag each sponsored by Forever 21, Kiehl’s and many more to further celebrate the night. Don’t want to miss out on all the fun? Sign up for it for free right here: https://bit.ly/2Nh1GTD.